A Country On The Dole = A Guaranteed Constituency | What Would The Founders Think? 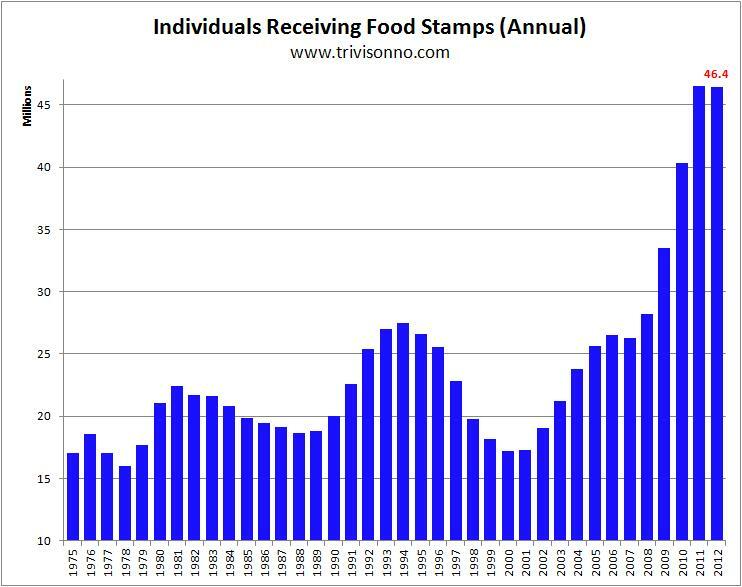 We’ve already written about the Obaminable efforts of this administration to enroll more Americans in the food stamp program. In fact, according to Senator Jeff Sessions, spending on the program has increased 100% since President Obama took office. The legislation will spend $82 billion on food stamps next year, $82 billion and an estimated $770 billion over the next ten years. So, to put these figures in perspective, and they’re so large it’s difficult to comprehend, we will spend next year $40 billion on the federal highway program..
Food stamp spending has more than quadrupled, four times, it’s increased fourfold since the year 2001. It has increased 100 percent since President Obama took office. Immigrants represent 17 percent of all Baby Boomers. Connect with communities and organizations that serve immigrant and non-English-speaking households. It even encourages local SNAP workers not to despair if the people they reach out to aren’t eligible. Boomers also find themselves as “card carrying” members of the sandwich generation—providing for older adult parents while taking care of children at home. Place information in venues that they normally visit, like the grocery store or pharmacy often live alone, and don’t waiting area. They might not be eligible but may know of someone who is. Every $5 in new SNAP benefits generates $9.20 in an additional community spending. If the national participation rate rose five percentage points, 1.9 million more low-income people would have an additional $1.3 billion in benefits per year to use to purchase healthy food and $2.5 billion total in new economic activity would be generated nationwide. Say what? If the government takes $10 from Sam and gives $8 to Mary, how does that possibly improve the bottom line for society? Sam could have spent $10 instead of Mary who can now only spend $8. It makes no more sense now than when Bastiat explained it in the 19th century. Whatever their claims, there is a whole other reason – a society beholden to the federal government is a society susceptible to control. This is the real purpose behind such entitlement programs. Now that Justice Roberts has ensured the continuation of Obaminable Care, we have a whole new constituency created. Welcome to Greece. If my head hadn’t already exploded yesterday after the Obamacare ruling, reading this would have done it. Can’t wait for Food Stamps – The Album with Crosby, Stills & Nash or Food Stamps – the summer blockbuster movie directed by Steven Spielberg with marketing tie-ins to Whole Foods. Next up – Health insurance for everyone – citizen or not. America’s downfall is surely coming (as surely as the sun rises), and it’s going to hurt. It might be a touch ironic that President Obama’s healthcare plan will in no way be able to cure the pain that President Obama’s healthcare plan will cause.